D’Amelio Terras is pleased to present our second solo exhibition with Los Angeles-based artist Jedediah Caesar. The exhibition will present new multi-panel wall sculptures as well as large-scale works. The artist is calling the larger mound-shaped works “horizon sculptures” and will produce them in Long Island City’s Socrates Sculpture Park just prior to the opening. Caesar’s medium is his own material – a unique amalgamation of resin, earth and detritus. Much of the internal structure of the sculptures, petrified matter, retains legibility while other bits smolder and disintegrate into micro-storms of frozen perforations. The panel sculptures are layered with raw debris and sloping patterns of muted, secondary-colored resins. Caesar’s sculptures are abstract landscapes and relate as much to painting as to experimental film. Like animated shifts between film cells, the pattern of these panels seems to repeat, but deviates with subtlety. For the new horizon sculptures, Caesar will excavate shallow pits, coring and exploring Socrates’ Sculpture Park, formerly an abandoned riverside landfill and illegal dumpsite. 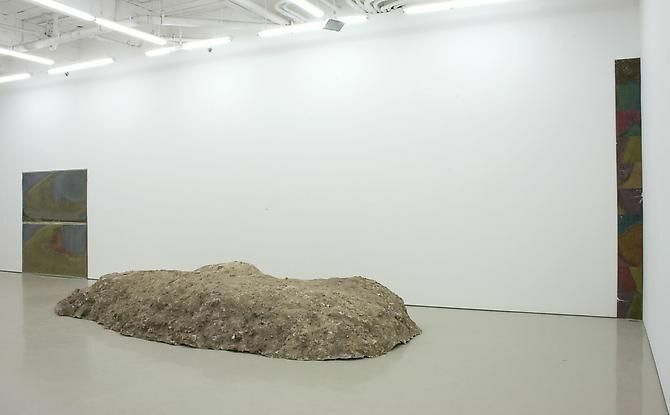 The artist will use the park’s reconstituted earth as a specific site to dig holes. Caesar’s plaster-cast sculptures will document the shape of his dig and will be inverted into particle-encrusted relief sculpture for the gallery exhibition. Jedediah Caesar received his MFA from the University of California, Los Angeles. His work has been shown in solo exhibitions at the Blanton Museum, University of Texas at Austin, Texas and at Susanne Vielmetter, Los Angeles. Recent group exhibitions include the Whitney Biennial 2008, Whitney Museum of American Art, New York, NY; “Abstract America: New Painting and Sculpture”, Saatchi Gallery, London, UK; the “California Biennial 2008”, Orange County Museum of Art, Newport Beach, CA; “Trace”, Whitney Museum of American Art at Altria, New York. 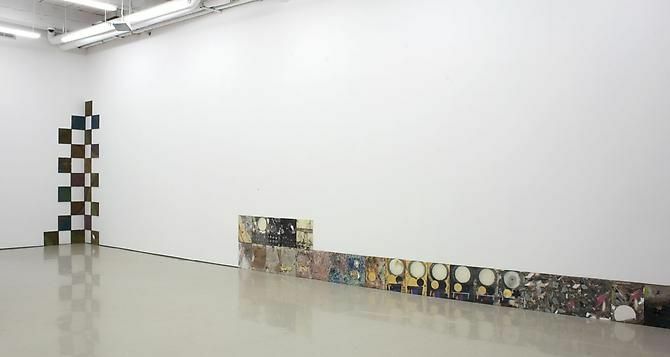 In 2009, Caesar participated in “Stardust” at the Fundament Foundation, Tilburg, the Netherlands. 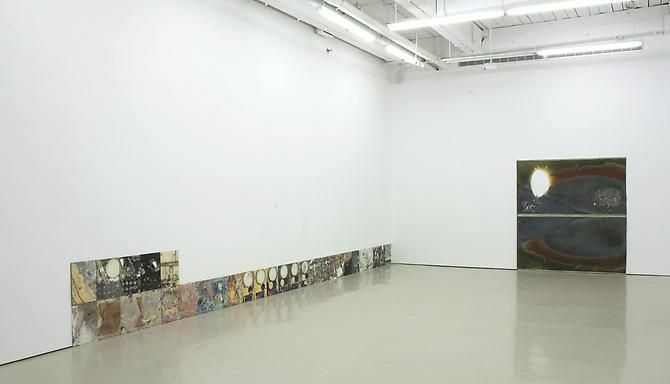 In May of 2010, Caesar will mount a solo exhibition at Bloomberg SPACE gallery in London.